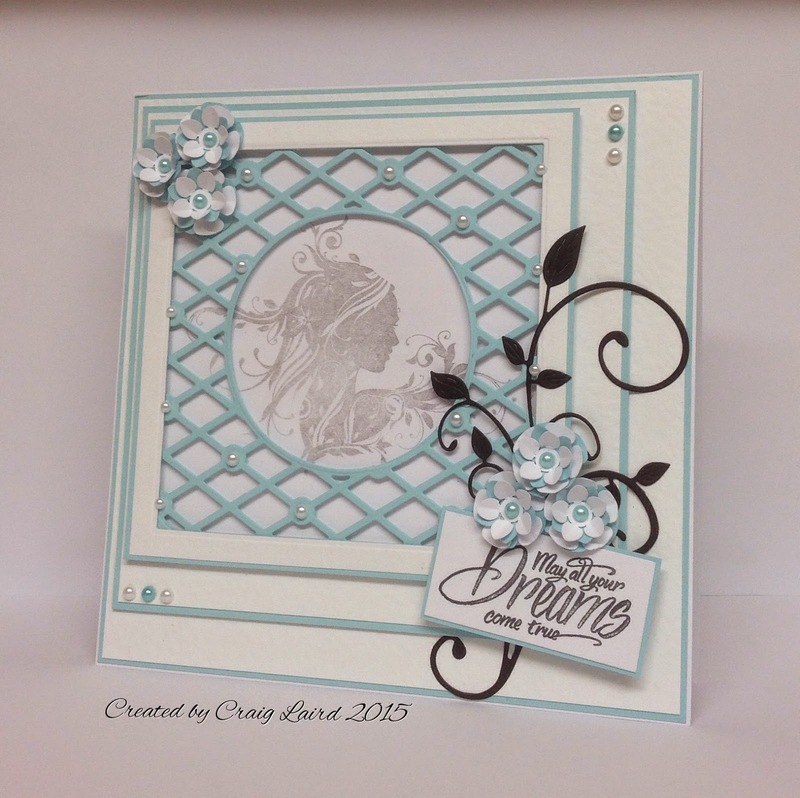 Crafting With Craig: Turquoise Delight Birthday card. Hope everyone is well and enjoying their week. Its Friday already isn't it? clocks go forward this weekend so an hour less in bed. I'm in work at 6am Sunday as normal so ill be extra tired with losing an hour, oh well cant be helped. However, for me - a Wrestling fan, its a big weekend as its Wrestlemania weekend with Wrestlemania 31 live on the WWE Network this Sunday night/Monday morning. Plenty of energy juice will be consumed. Anyway, enough of that. Here, I have made an 8x8" card using many different companies products and combined them all. Simply sticking to 2 main colours as well as a touch of black really makes the card stand out. I am loving turquoise just now and use it often, it really does create a simple yet elegant card with the White Hammered card. I don't often use micra powder but having a large stash of it, I am trying to use it more and include different elements in my cards and my makes. Its all about fun, have fun with what your using and what your creating, that's what's its all about - FUN. Antique Green mica powder - Cosmic shimmer. All My Love - Dies by Sue Wilson. A little bit of love with Yankee Candle.